Every animal deserves their furry-tail ending! That’s why the BC SPCA is teaming up with Hill’s® Pet Nutrition on Saturday, Oct. 13 to present “Fall Head Over Tails in Love.” During this one-day event, animals in our care will be able to go to a loving home at a reduced fee. Domestic animals, like dogs, cats, kittens, rats and rabbits will be eligible for 50% off the adoption fee and BC Pet Registry fee. Discount rates for any farm animals will be decided on a case-by-case basis. The discount will be honoured at branches across the province where adoptable animals are staying. 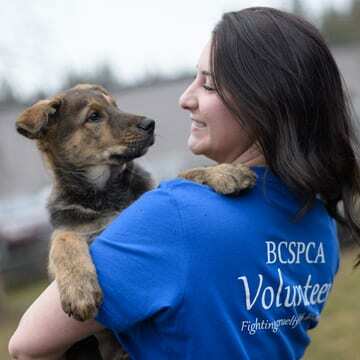 In 2017, the BC SPCA found loving families for more than 15,000 animals. The BC SPCA would love to be a part of your happily (fur)ever after adoption story, too! For more details on this event, we invite you to take a look at our question and answer page (PDF).